Guests book a table for tasty dishes here and enjoy the sights of Nygardsparken. If you're a Scandinavian cuisine lover, come here. Take your chance to taste good beer. Come here and order delicious coffee. The staff is competent that's what makes this cafe so nice. Nice service is something that people highlight in their comments. It's a good place with the exotic atmosphere. TripAdvisor users rated Nobel Bopel 4.5 out of 5. 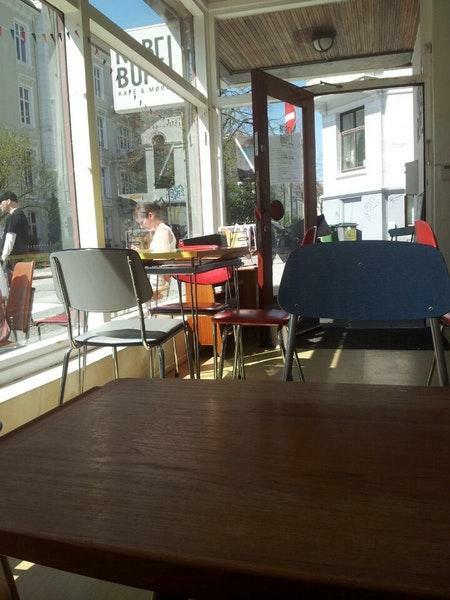 One of (if not THE) best cafes in Bergen. Unpretentious, local with great food, drinks, music, decor and service. 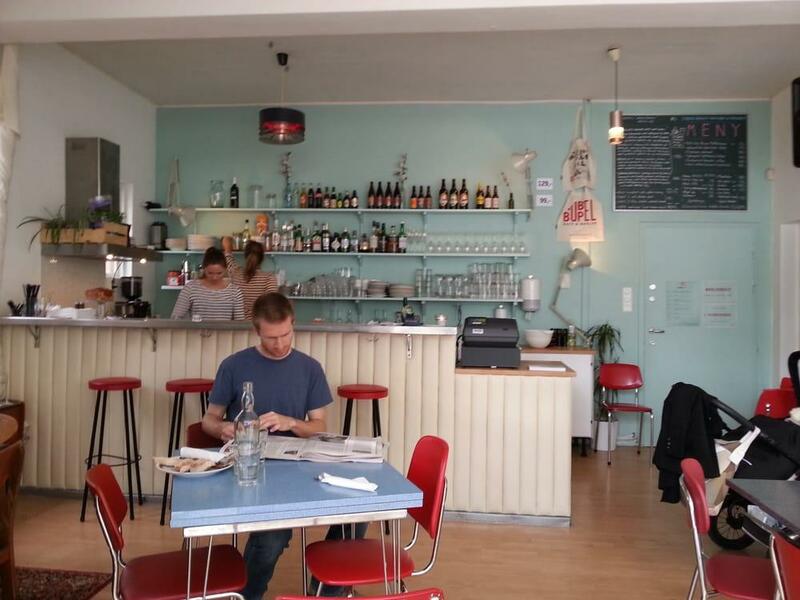 It is rare indeed to find not one but a choice of delicious, simple, modern, vegetarian options on a menu in Bergen. 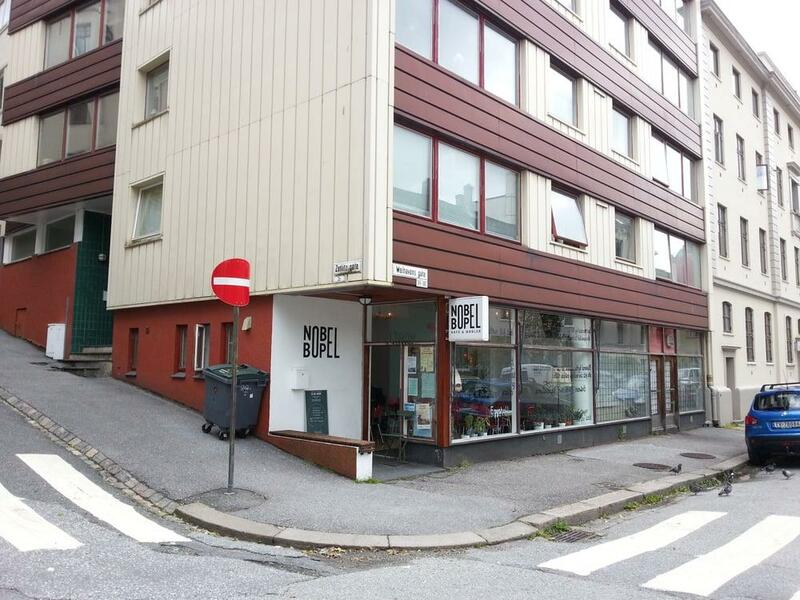 A highly popular brunch spot in Bergen. I personally found the food dreary. 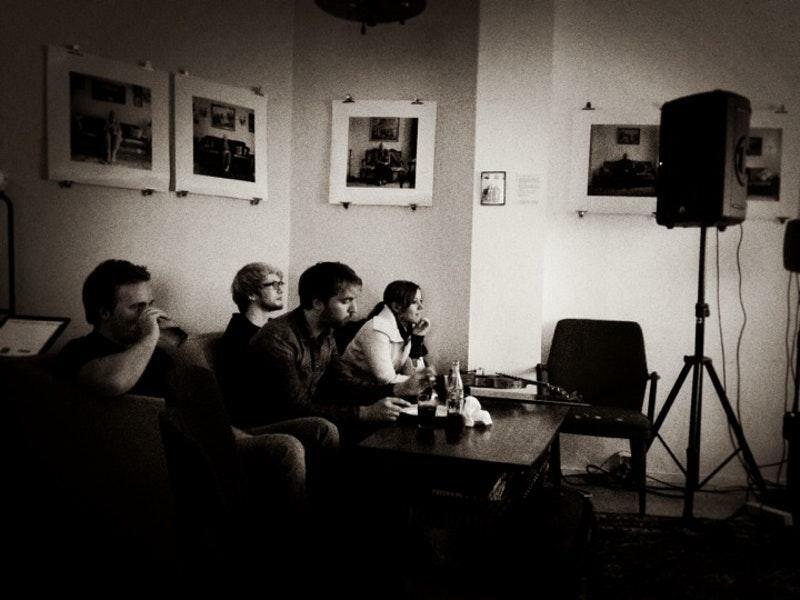 * * * Nearly every table is full at Nobel Bopel. The place is large - a double store front. Big plate glass windows and a corner location mean the place is flooded with natural light in the summer. Inside they have art photographs - Of the stern flat islands of the Norwegian coast. Gravel. Sand. Low Grasses. Cold Water. They may have a different artist when you come. * * * Brunch is not a la carte. They have two primary fixed plates and a third on Sunday. You can get muesli if that does not appeal. I had the Sunday Special of sausage, bacon, a mini-dish of potato casserole, a grilled tomato, lingonberries and a dish of yogurt and fruit on the side. The sausage was significantly blander than a hot dog. The bacon was nearly tasteless. The lingonberries were totally tasteless - which is par for the course for commercial lingonberries. The potato casserole offered two spoonfuls of interest. I don't think they miscooked anything. This is the sausage and bacon and lingonberries that are available at the store that people eat. Love of the life had a more vegetarian concept with avocado and starchy stuff. She ate hers. * * * There is one plus. They make an utterly fantastic homemade orange marmalade that is available on a sideboard along with two kinds of Norwegian bread. Great big whole slices of orange in a thick marmalade that is 80% slices, 20% jelly. You take as much as you want and bring it to your table. This was fine eating. * * * My recommendation: Load up on the bread and marmalade from the sideboard. Buy enough food from the main counter so you don't feel like an immoral jerk for chowing down on the free marmalade.